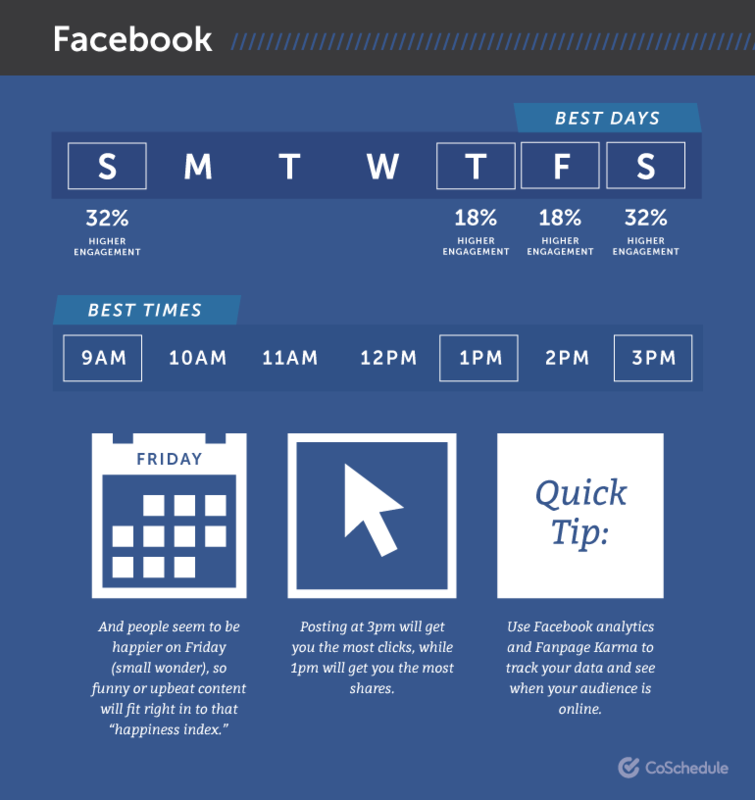 We all want to know what the best time to post a social media update is, but the answer isn’t always straightforward. 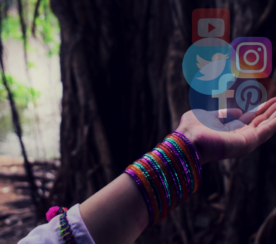 With differing algorithms for different social media sites, various time zones to contend with, and different audiences, is there really a universal “best time” to post? I’ll dig into data that helps demystify this issue, so you can figure out how to approach posting social media updates. Most — but not all — social media platforms have evolved from being chronological timelines to using algorithms to predict relevancy to the user. 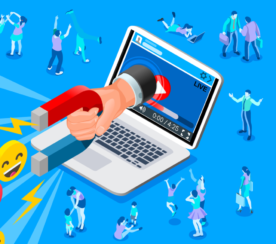 That means that the social platforms try to surface the updates they believe is the most relevant based on different signals, whether it’s engagement, timeliness, and other factors. While posting at a specific time might be relevant to the people who are logged in at that moment, it doesn’t necessarily mean that your users won’t see your content at some point when they log in, even if you posted earlier in the day. Let’s go over those next by taking a closer look at the social media algorithms of Facebook, Instagram, LinkedIn, and Twitter. Today we use signals like how many people react to, comment on or share posts to determine how high they appear in News Feed. With this update, we will also prioritize posts that spark conversations and meaningful interactions between people. To do this, we will predict which posts you might want to interact with your friends about, and show these posts higher in feed. These are posts that inspire back-and-forth discussion in the comments and posts that you might want to share and react to – whether that’s a post from a friend seeking advice, a friend asking for recommendations for a trip, or a news article or video prompting lots of discussion. More posts from friends and family will surface with less public content from brands. Pages might see their reach, video watch time and referral traffic decrease. Pages with posts that prompt conversations between friends will see less of a negative impact. People who want to see more posts from their favorite brands can update their news feed preferences by choosing what they want to see. Live video may be a good way to keep the community engaged (according to Facebook, they garner 6x the engagement as regular video). In this case, timing the live video with when your audience is online can be key. 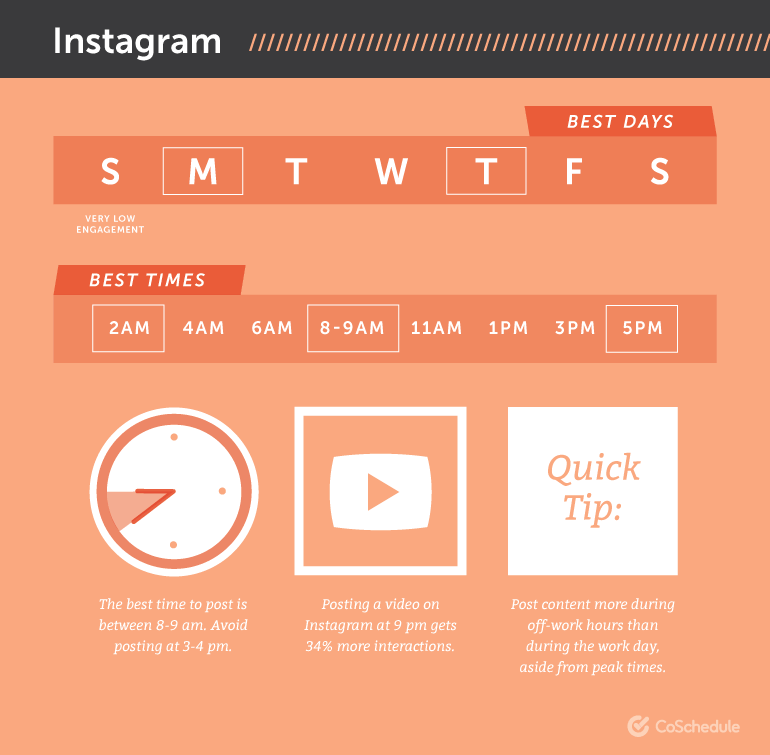 Instagram’s algorithm is not purely chronological though. 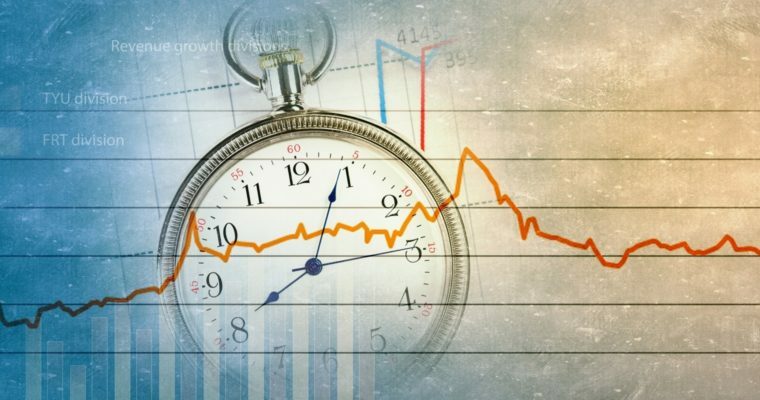 It still works to surface the most relevant content for users based on engagement, but timing is now an influential ranking signal. Likelihood you’ll be interested in the content. Date the post was shared. Previous interactions with the person posting. Other things to consider with the Instagram algorithm include the idea that it may reward posts based on your profile’s interaction with followers, including how quickly you interact, and using the right hashtags. Users can manually switch to most recent updates in the feed within the platform. The Twitter timeline is called “timeline” for a reason: its tweets are ranked in reverse chronological order, with the most recent tweets showing at the top. Here’s how it works. You flip on the feature in your settings; then when you open Twitter after being away for a while, the Tweets you’re most likely to care about will appear at the top of your timeline – still recent and in reverse chronological order. The rest of the Tweets will be displayed right underneath, also in reverse chronological order, as always. At any point, just pull-to-refresh to see all new Tweets at the top in the live, up-to-the-second experience you already know and love. However, back in 2016, Twitter CEO Jack Dorsey confirmed in a tweet that a “live” and “real time” feed would always be a staple of Twitter. So as far as Twitter goes, timing definitely matters. Time zones make data on the best time to post to social media particularly tricky, especially when you have audiences in different time zones and particularly when you’re following universal best-time-to-post recommendations. However, the best course of action is to use analytics tools to discover where your audience resides on the various social media platforms. Using social media analytics tools, like those native to the social medium (for example, Facebook Page Insights) and other free and premium tools can help you with the best time to post. If your audience lives in multiple time zones, you can scatter your updates throughout the day to try to reach them right when they are online, and hope that the social medium’s algorithm finds your content to be relevant to them when they log in at a later time. 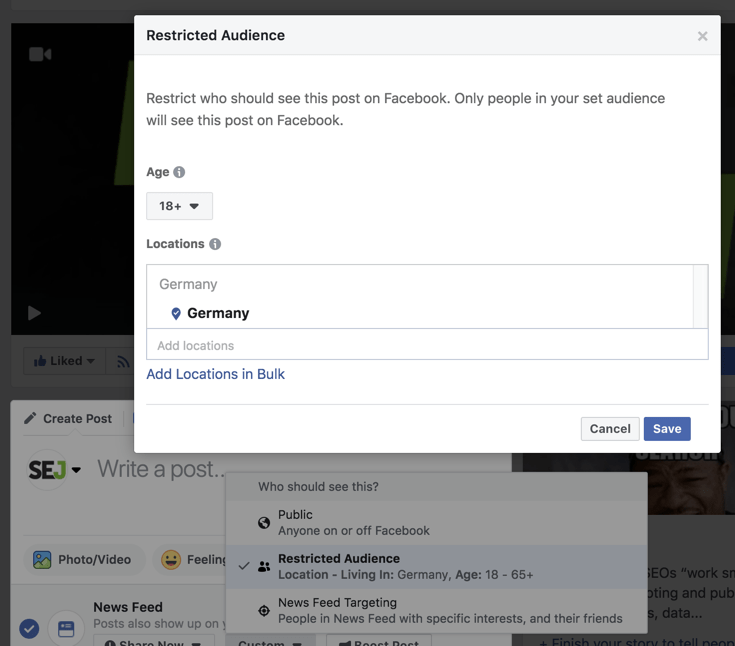 Some sites offer specific solutions for this issue, like Facebook’s Restricted Audience posting feature, which allows you to post updates to a specific audience, by age and location. Using this feature, or similar ones through social media sites and tools, you can schedule perfectly timed posts in advance for your entire audience. 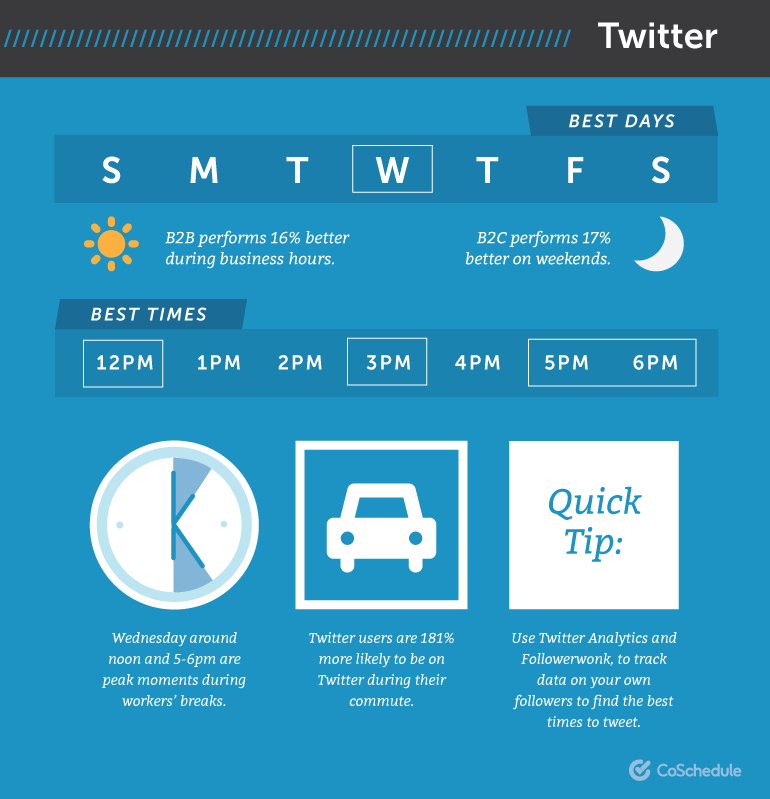 Every year, studies come out on the universal best time to post to social media. Each one of them looks at their own data set, and they all typically differ. 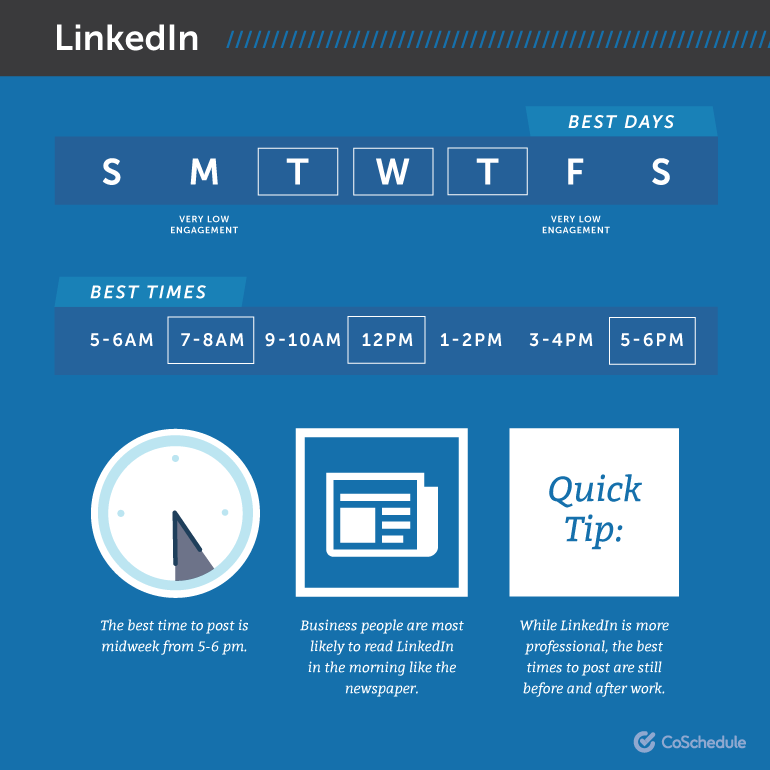 In 2018, CoSchedule referenced 23 studies and their own data to offer some universal best times to post to Facebook, Instagram, LinkedIn, and Twitter. Saturday and Sunday at 12 p.m. to 1 p.m.
Thursday and Friday at 1 p.m. to 4 p.m.
Monday and Thursday at any time other than 3 p.m. to 4 p.m. Videos any day at 9 p.m. to 8 a.m. Experiment with 2 a.m., 5 p.m. and Wednesday at 7 p.m.
Tuesday at 10 a.m. to 11 a.m.
Tuesday, Wednesday and Thursday at 7:30 p.m. to 8:30 a.m.; 12 p.m.; and 5 p.m. to 6 p.m.
7 p.m to 8 p.m.
Wednesday at noon and 5 p.m. to 6 p.m.
Monday through Friday at 12 p.m. to 3 p.m. and 5 p.m. Experiment with 2 a.m. to 3 a.m.; 6 a.m. to 7 a.m.; and 9 p.m. to 10 p.m. It goes without saying that different industries have different types of audiences with different lifestyles and social media habits. This can impact when the best time to post is based on goals the brand has, like generating leads or selling products. The research is worth checking out if you’re a brand in any one of those sectors. What you’re using social media for. How you engage your audience and how they engage with your posts. 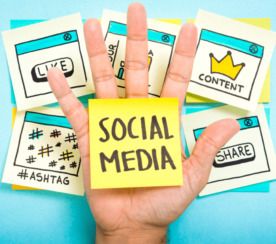 Taking all of these into consideration for your social media strategy is more important than focusing on just one aspect (e.g., the timing) of managing your social media posting.